DEFINE A SENTENCE. A sentence has a subject and a verb and is a complete thought. Teach students to strip any sentence down to its core--the subject & verb. 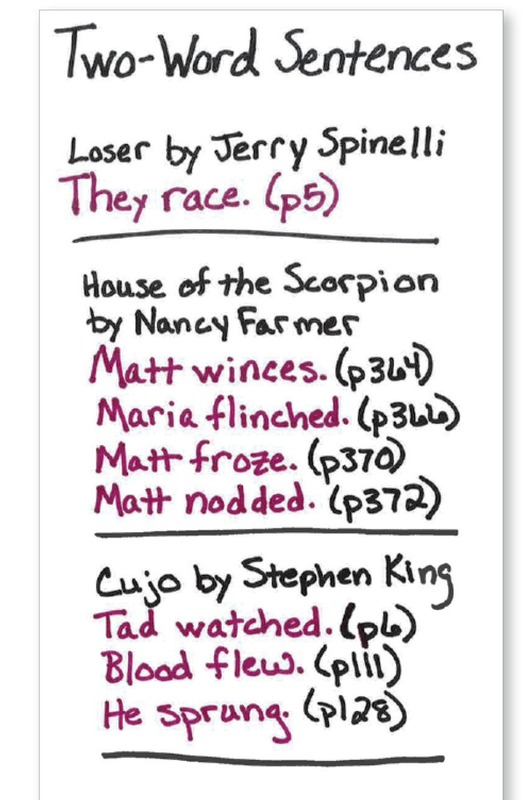 Then play Jeff Anderson's (Mechanically Inclined) "Sentence Smackdown." Access a playing board template. Check out student examples from Jeff's classroom. TWO-WORD SENTENCE SEARCH. 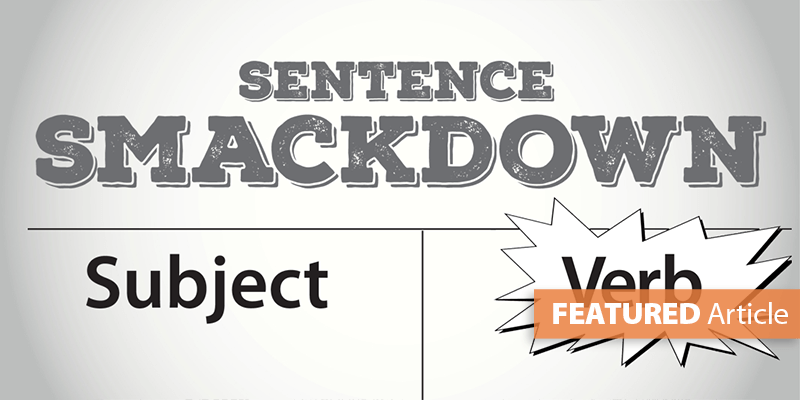 As a follow-up to Smackdown, collect two-word sentences from reading--a subject and a verb. Here are some examples found in various literature. NOTE: Exclude dialogue from the hunt, but don't limit your search to literature/fiction. Look for two-word sentences in opinion/argumentative writing and all genres of informative text. Encourage students to look for examples in authentic text they come across in their everyday world (e.g., CD covers, restaurant placemats, greeting cards, etc.). Article originally posted May 4, 2016.